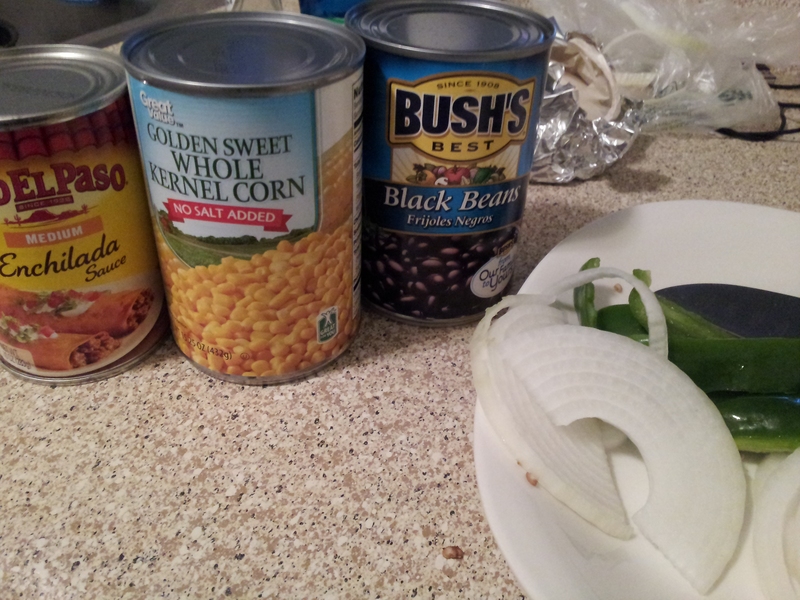 If you don’t already know, black beans are my second favorite kind of beans. My first is baked beans..specifically the Bush’s Vegetarian Baked Beans (the one where the poor dog is never allowed to tell the family recipe). Anyways, I decided to try black bean enchilada and made too much stuffing so I had the brilliant idea of converting the leftovers into a black bean burger. They both turned out great..but there is always room for improvement and with some minor adjustments I’m sure they can be even more than great (I will go into detail about those adjustments a little later). 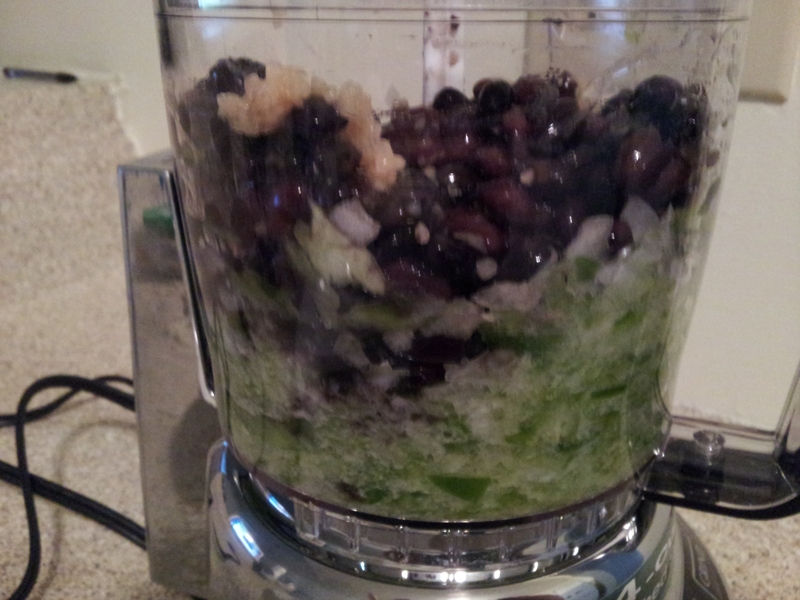 I decided to use my food processor to save time..and energy. It can get tiring chopping and mushing and mixing things together. But after adding the beans and seasonings to the chopped onion and pepper, I think I did too much processing…it became kinda liquid-y. 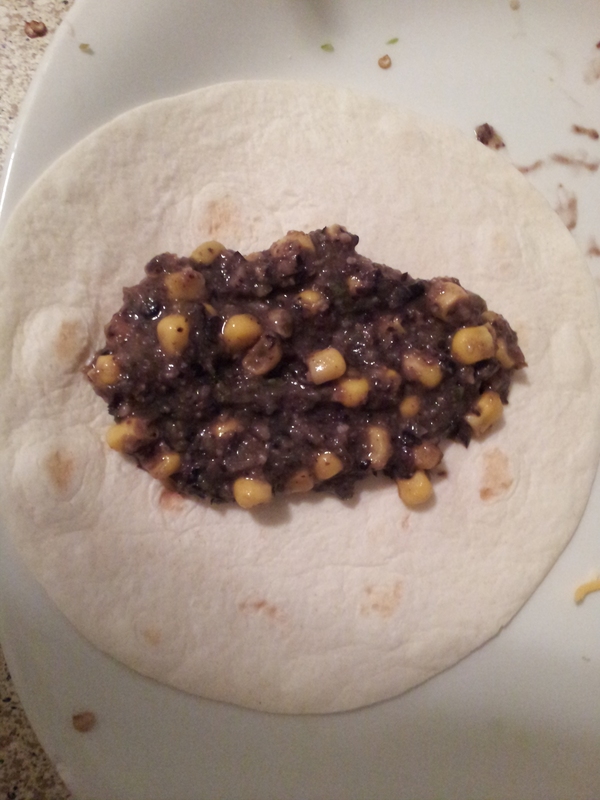 But I forged ahead and put the corn and bean mixture in each tortilla. 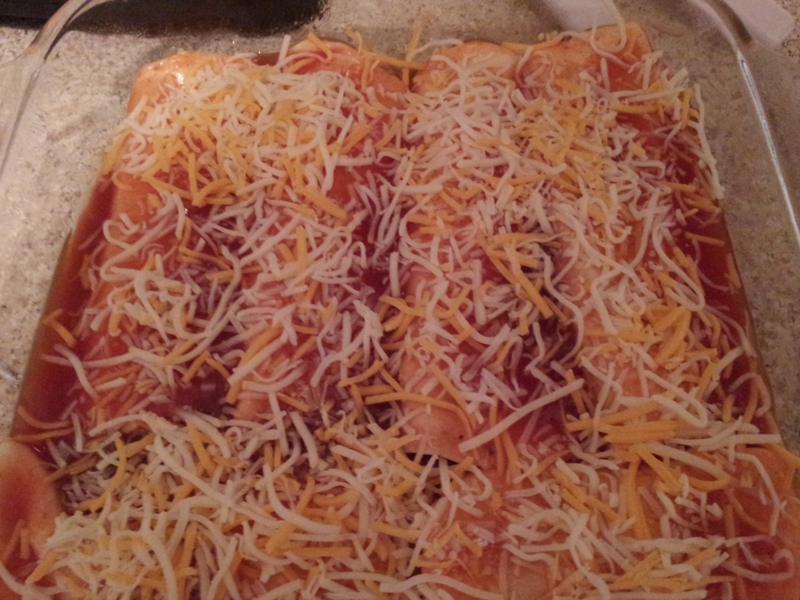 Rolled them up and put them in a pan, poured enchilada sauce, and sprinkled cheese. 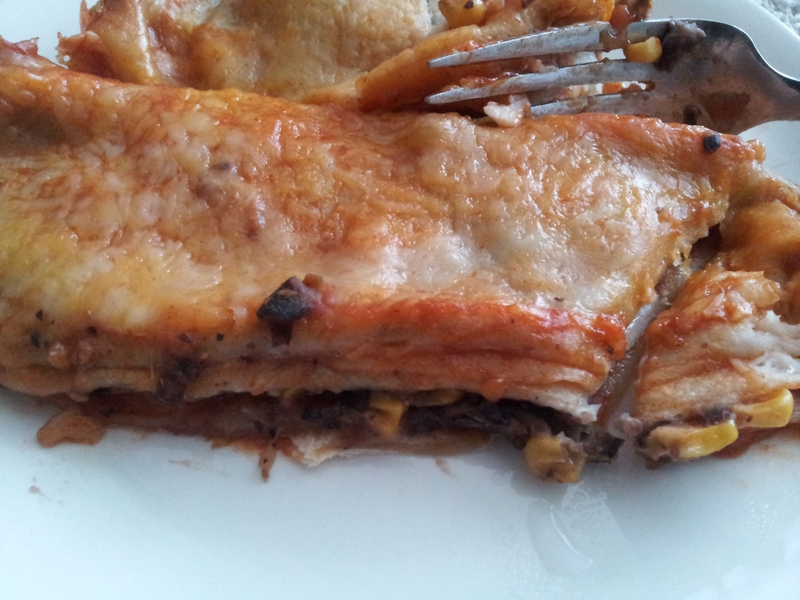 I also might have put too much sauce..
Cover with foil and bake for an hour at 350 degrees. They were a bit soggy but still really good. 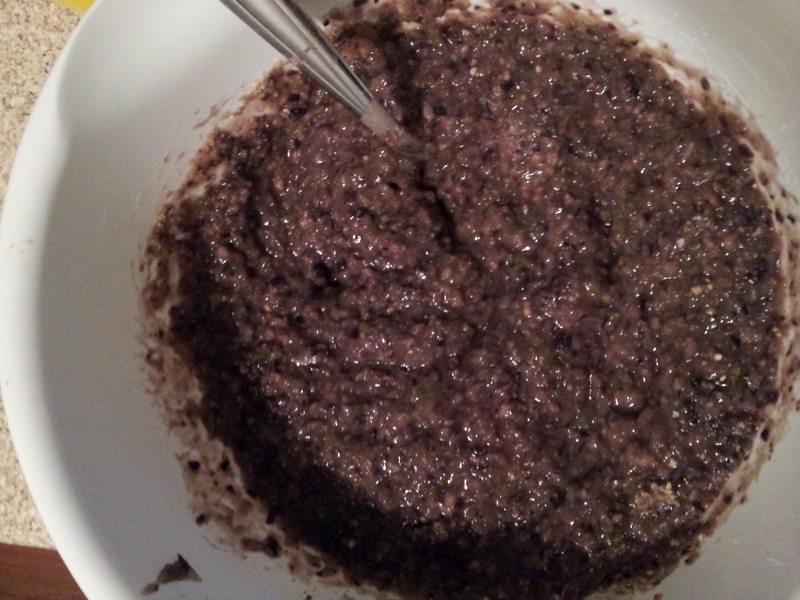 Stay tuned..my next post will be about my attempt at Black Bean Burgers using the same mixture.